While it seems that every company is coming out with an e-reader, Google has decided to take the other route, and is just going to try to make it so you can just go about anywhere on the Web and buy the books you are looking for. Thus far Google has not announced any partnerships with major publishers, nor has it revealed what its pricing structure will be, but it has confirmed that it will soon be launching e-books under the name of Google Editions. According to The Wall Street Journal, Chris Palma, Google’s manager for strategic-partner development, announced that the new book store would release in June or July in a timetable he announced at a publishing industry panel this past week. The difference between this store and ones we have seen such as Amazon, Apple and Barnes & Noble is that the books will be platform agnostic. The books will be readable in Web browsers, so that means they will be able to be read in any device that has one built-in (or downloadable), and they will also have optimized editions for devices such as the iPhone and iPad. Possibly the most intriguing aspect to me as a former retailer is that Google will allow small book stores to sell the books on their sites with Google taking only 30 percent of the sale. This could be a great boon to smaller bookstores that don’t have the bargaining power of a large company such as Apple to negotiate deals with the publishers. Google will do all of the brokering, and then the retailers can sell them like they do a standard book. As no discussion has been mentioned as to pricing for these books yet, it is unclear if retailers may be able to try to undercut one another, so that remains to be seen. It looks like this may be a good deal for publishers as well as consumers, but it will depend on how many customers Google can attract to the service. Amazon knows when you buy a Kindle that you will be purchasing books from its store, and the consumer knows where to go. 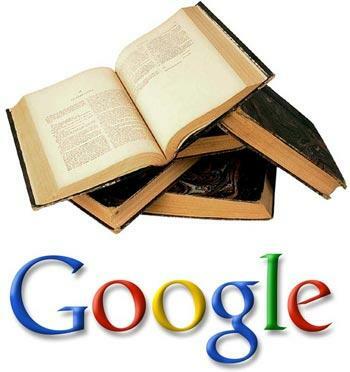 Seeing a book for sale from Google without an attached proprietary device may cause confusion for some readers out there, but Google is sure to try to do something to educate people. What say you? Are you interested in e-books that you can read on the device of your choice?